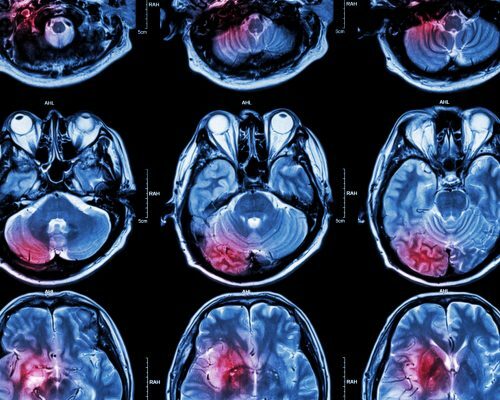 Multiple sclerosis and stroke may seem like they don’t have much in common, but they both affect the brain and the nervous system and so they have a lot more in common than you think. Multiple sclerosis is an autoimmune disease in which myelin becomes damaged. The nerves are exposed as a result, lending cause to the variety of symptoms to arise. A stroke is caused by a blood clot or leak of blood vessels in the brain. When the brain stops receiving a steady blood flow it stops working, which can result in similar symptoms as seen in multiple sclerosis – many of them can be chronic. A stroke and multiple sclerosis may present themselves similarly and that is why it’s so important to recognize the key differences between the two as a stroke is far more life-threatening if treatment is delayed. Living with multiple sclerosis can make spotting a stroke more challenging because early warning signs of a stroke present themselves as a multiple sclerosis flare-up. If a multiple sclerosis patient has the risk factors for stroke – hypertension, heart disease, smoking, diabetes, and high cholesterol – they should be more mindful that they are at a higher risk to develop a stroke, so when symptoms arise they should still have themselves checked out to determine for sure what the cause of their symptoms is. An MRI scan can determine with a great degree of certainty if a person is having a stroke or a multiple sclerosis flare-up, as stroke looks different than a multiple sclerosis lesion. Another key difference is that multiple sclerosis flares occur over several days, whereas stroke symptoms are sudden and severe and can occur within a few minutes. If your symptoms then appear with full force, it is very likely that you are having a stroke as opposed to a multiple sclerosis flare. If you have multiple sclerosis, speak to your doctor about your risk factors for stroke, as many lifestyle habits can be implemented to lower your risk. Over 400,000 Americans are diagnosed with multiple sclerosis and roughly 200 new cases are diagnosed each week. Multiple sclerosis cases are seen in higher prevalence in areas furthest from the equator, and the common age to be diagnosed with multiple sclerosis is between 20 and 40 years. Stroke kills 130,000 Americans annually (one in 20), and roughly every four minutes a person dies of stroke. Over 795,000 Americans suffer stroke annually and 610,000 of those are first-time strokes. The annual estimated cost for stroke is $34 billion, which includes healthcare costs, medications, and lost days at work. As mentioned, stroke signs may mimic multiple sclerosis, but there are some key differences between signs and symptoms of stroke and multiple sclerosis. A stroke is when the blood supply cannot reach the brain, which can be a result of a blood clot or leakage from a blood vessel. This robs the brain off oxygen and nutrients, causing it to stop working as its cells begin to die. There are three main types of stroke: ischemic, hemorrhagic, and TIA (mini stroke). Multiple sclerosis is an autoimmune disease in which the immune system attacks the myelin, causing damage and thus exposing nerve fibers. Like many autoimmune diseases, the exact cause is unknown, but environmental, immunologic, infectious, and genetic factors have all been found to play a role in the onset of multiple sclerosis. Common risk factors for stroke are high blood pressure, diabetes, smoking, heart disease, obesity, insufficient physical activity, illicit drugs and alcohol abuse, obstructive sleep apnea, high cholesterol, family history, being over the age of 55, and being male. Although some of these risk factors cannot be changed, many of them can, meaning you can take an active role in lowering your risk of stroke. If stroke is not treated immediately, the patient runs the risk of death as time passes and the brain is not receiving oxygen. Other complications of stroke that are lifelong include paralysis or loss of certain muscle movements, difficulty talking or swallowing, memory loss or thinking difficulties, emotional problems and depression, pain, and changes in behavior and self-care ability. Risk factors for multiple sclerosis include being female, having a family history of multiple sclerosis, having certain infections, being white of European descent, living furthest from the equator, living in temperate climate regions, already having an autoimmune disease, and smoking. Complications resulting from multiple sclerosis include muscle stiffness and spasms, paralysis, problems with bladder, bowel and sexual function, forgetfulness and mood changes, depression, and epilepsy. Multiple sclerosis is diagnosed through a series of tests, but begins with a physical exam and an evaluation of symptoms to rule out other diseases or conditions. Some tests that your doctor may perform include blood tests to rule out other diseases, spinal tap to rule out infection and look for antibodies associated with multiple sclerosis, MRI of the brain to see lesions, and evoked potential test that records electrical signals as a response to stimuli to determine the function of the nervous system. To diagnose stroke, your doctor will conduct a physical examination and will ask about the medications you are on. They will also perform a blood test to check how fast your blood clots, whether your blood sugar is abnormally high or low, whether critical blood chemicals are out of balance, or whether you may have an infection. Other tests include a CT scan to look at the brain for clots of hemorrhagic blood, MRI, carotid ultrasound, cerebral angiogram, and echocardiogram. Treatment for multiple sclerosis is lifelong, and although there is no cure, it aims to minimize symptoms and allow the patients to live as normal of a life as possible. Some treatment methods include corticosteroids plasma exchange, beta interferons, Glatiramer acetate, Dimethyl fumarate, Fingolimod, Teriflunomide, Natalizumab, Alemtuzumab, and Mitoxantrone, which all help to reduce the likelihood of relapses. Other treatment methods include physical therapy to improve mobility, muscle relaxants, medications to reduce fatigue, and other medications like antidepressants, medications to control the bowels and bladder, and medications to improve sexual function. Exercise, meditation, yoga, and acupuncture are also recommended as a means to reduce stress and improve overall mental and physical well-being. An ischemic stroke must be treated immediately to restore blood flow to the brain. This can be done by taking aspirin or intravenous injection of tissue plasminogen activator. This reduces the likelihood of an additional stroke, restores blood flow, and dissolves the blood clot. Emergency procedures include giving medication directly to the brain and performing a mechanical clot removal. Other procedures for ischemic stroke treatment include carotid endarterectomy and angioplasty and stents. Treatment of a hemorrhagic stroke including taking warfarin to thin the blood and other medications to prevent blood clots, as well as surgical vessel repair. Recovery after stroke can be a long process, depending on what has been affected. It may include speech therapy, physical therapy, and working alongside an occupational therapist to help you manage through daily life. Prevention of stroke includes eating well, exercising regularly, maintaining a healthy weight, managing diabetes, cholesterol, and blood pressure, and not smoking.